Yes, the In-Betweeners is a hysterical show on BBC (not sure if it’s still on in the U.S), but it is also a reference to wardrobe items that can be worn in the winter and transition into spring. But not all items have this versatility. Take, for instance, winter coats. I hate the bulky jackets. Most of em are not fashionable at all. 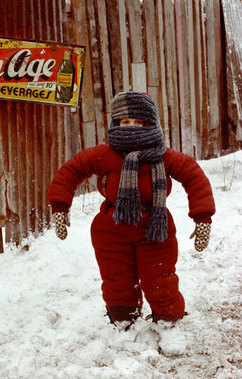 I try to buy coats that don’t make me look like Randy from A Christmas Story (Ralphy’s brother). This happened to me as a child (thanks, Mom), and I’m definitely not trying to recreate looking like a line backer. Plus, you get hot in em indoors. Finding that balance between practical coat and stylish outerwear can be hard. No wonder I like in-between coats – warm enough to wear when it’s cold, but light enough for spring weather. Trenches are good as long as they have lining. I’m constantly cold, so in order to off-set my shivering, I dress in layers under lighter jackets. Yesterday was a bit windy, but I was going to the mall with my hubby, and didn’t feel like wearing a heavy coat that I’d more than likely take off and have to lug around. The trip itself was a little disappointing as retail is in the in-between phase where there’s a lot of solids and knits… I’m waiting for prints and summer sandals. But in the meantime, this jacket suffices to cloak my bones. so cute love the jacket and your hair is perfect as always!